After rebounding from level of 38.2% several times, Eurodollar started moving downwards. Possibly, price may break minimum in the nearest future. 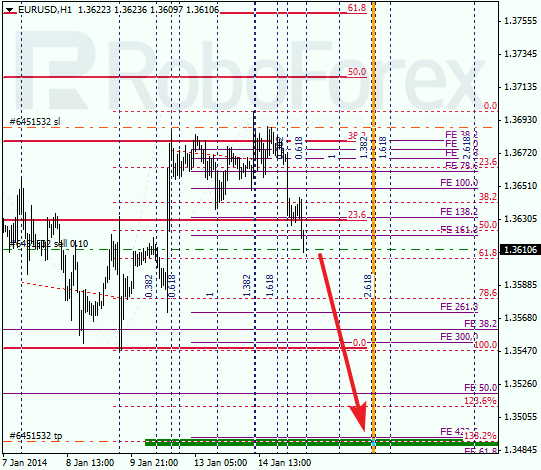 Main target is at lower levels, 138.2% and 61.8%. 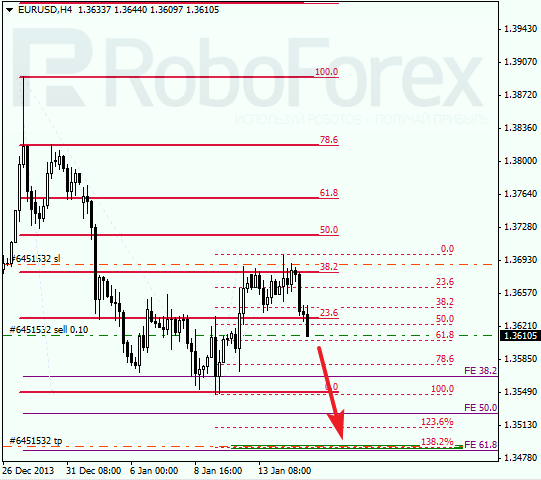 At H1 chart, there is one more fibo-level, 423.6%, inside target area. 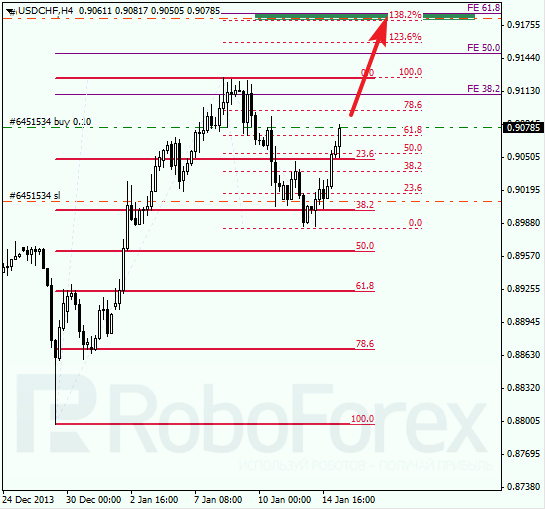 According to analysis of temporary fibo-zones, predicted targets may be reached on Wednesday. If later pair rebounds from them, price may start new correction. The same is in case of Franc: correction faced resistance from level of 38.2%. It looks like buyers are going to break previous maximum. Target is close to the group of upper fibo-levels. Market is moving upwards quite fast. According to analysis of temporary fibo-zones, predicted targets may be reached in the middle of this week. In the future, I’m planning to increase my long position.